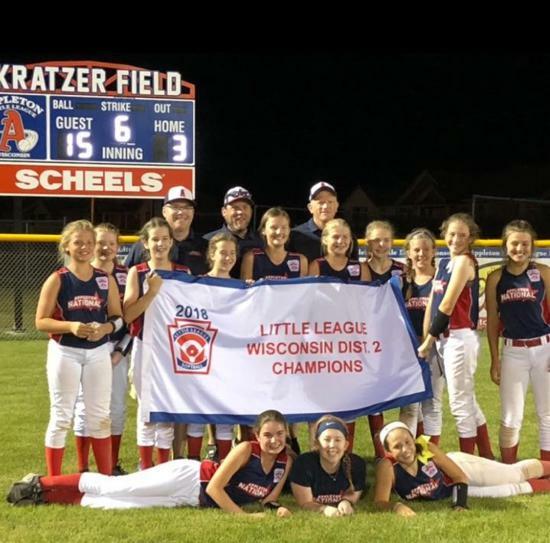 2018 State Champs and District 2 Champs Appleton National 11-12 year old Girls Softball are names Wisconsin State and District 2 Champions. 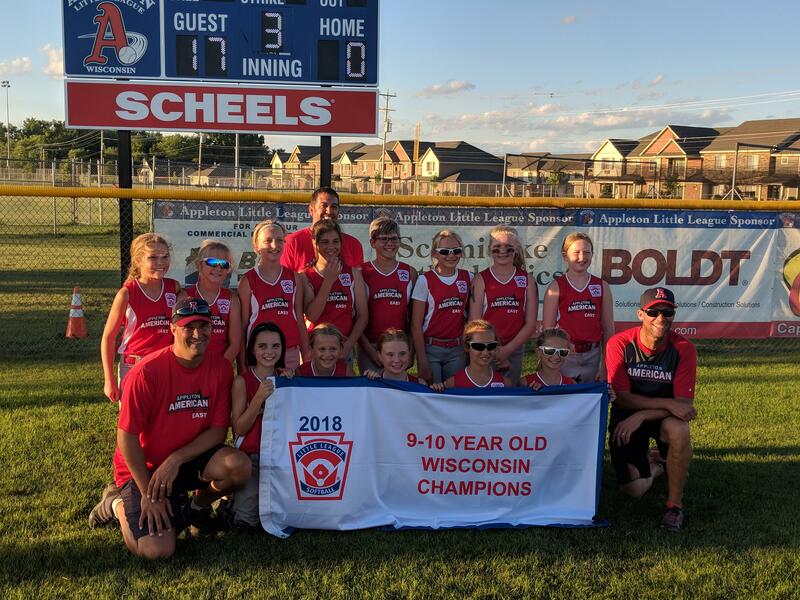 2018 State Champions Appleton American is named State Champions of the 9-10 Year Old Girls Softball Division. 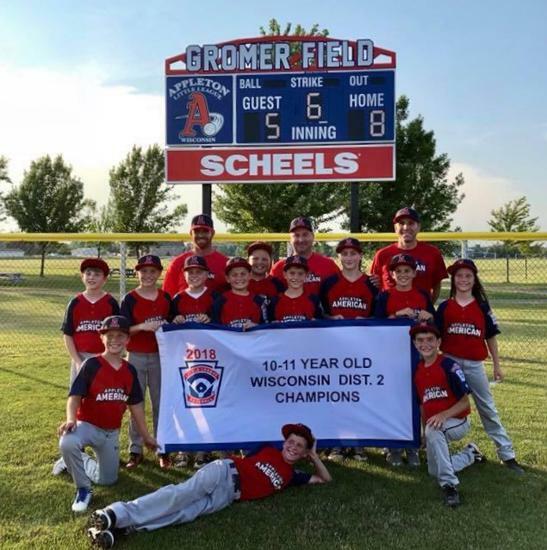 2018 District 2 Champions Appleton National is named champions of the 12U Baseball Division for District 2. 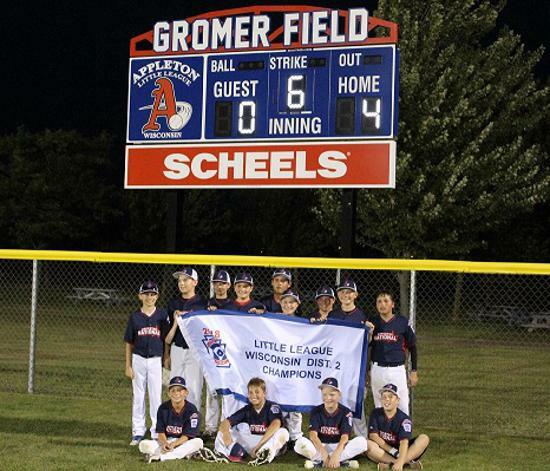 2018 District 2 Champions Appleton American is named champions of the 10-11 Baseball Division for District 2. 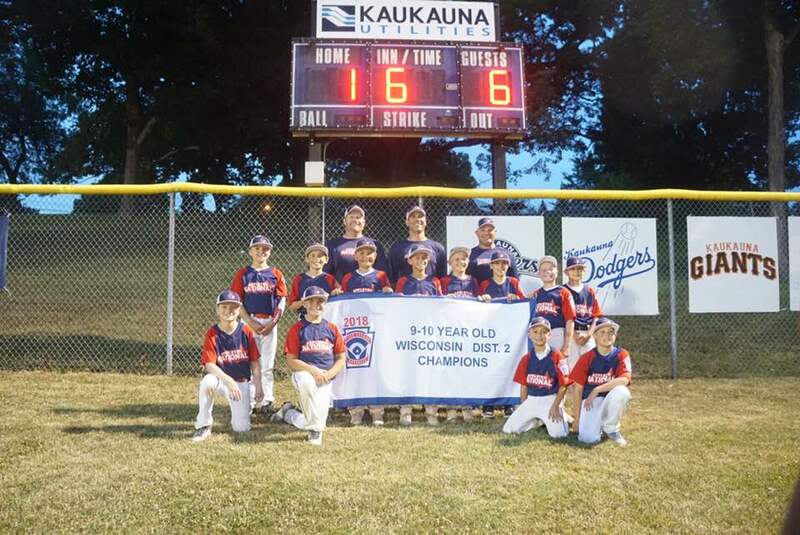 2018 District 2 Champions Appleton National is name champions of the 9-10 Year Old Baseball Division for District 2. 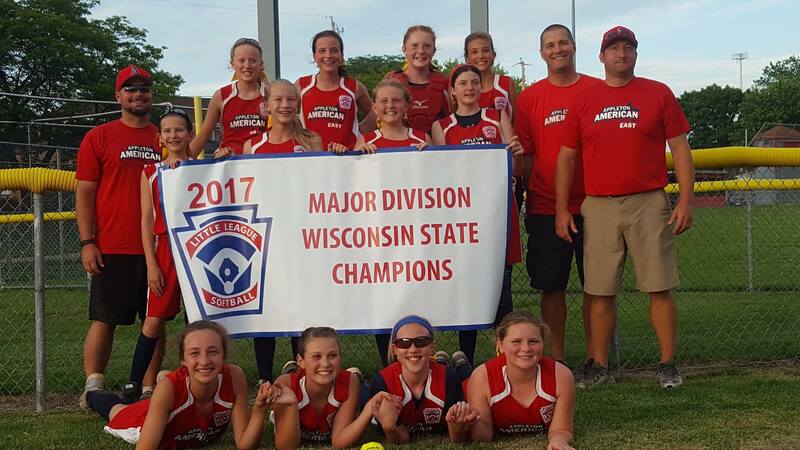 2017 State Champions Appleton American is named state champions of the Majors Softball Division. 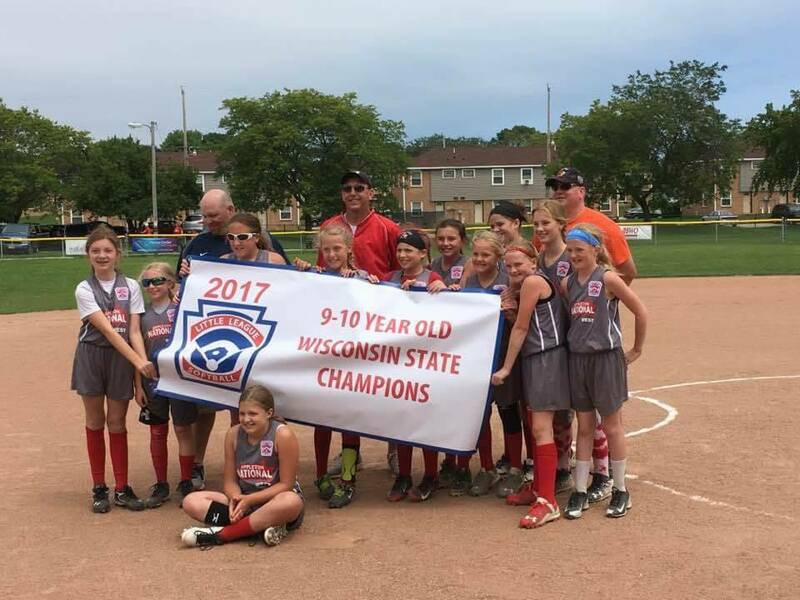 2017 State Champions Appleton National is named state champions of the 9-10 Year Old Softball Division. 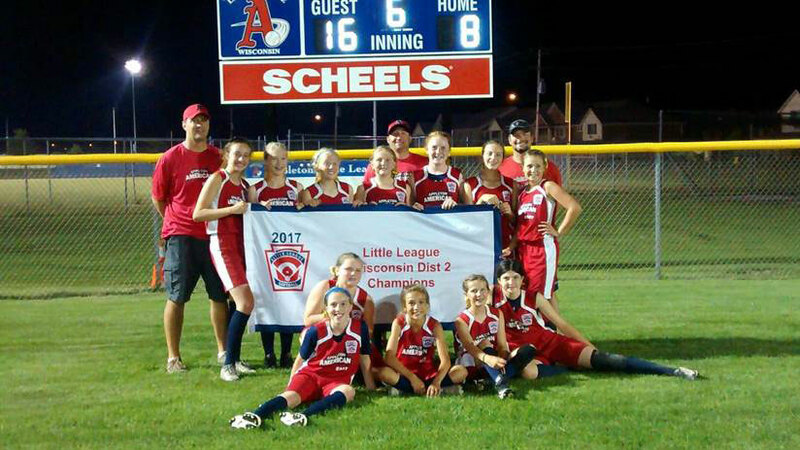 2017 District 2 Champions Appleton American is named champions of the 10-12 Year Old Girls Softball Division for District 2. 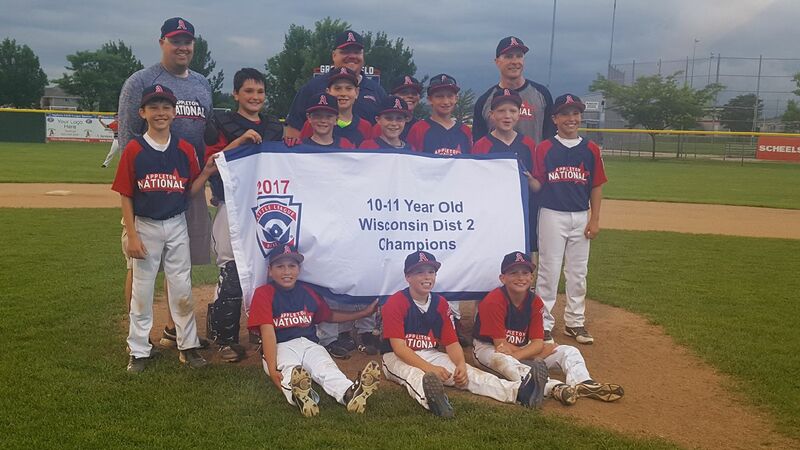 2017 District 2 Champions Appleton National is named champions of the 10-11 Year Old Baseball Division for District 2. Opportunities are posted throughout the year so check back often!